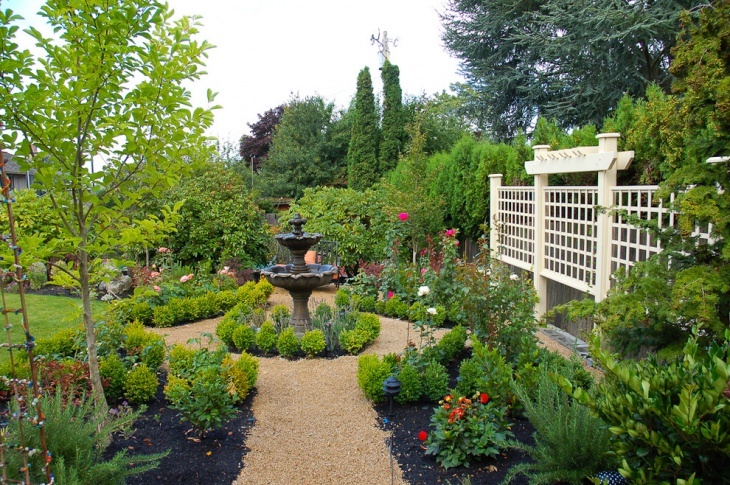 Gardens are designed with different features that can be decorative, functional or both. 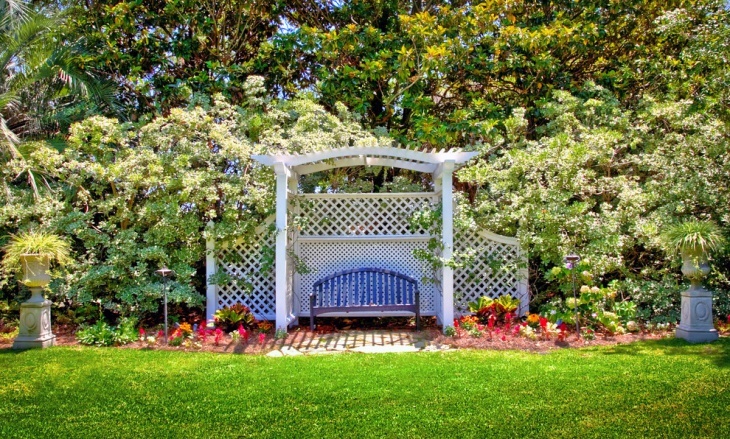 A trellis is a good example of a functional and decorative garden accessory because it is a framework that trains and supports different types of plants. 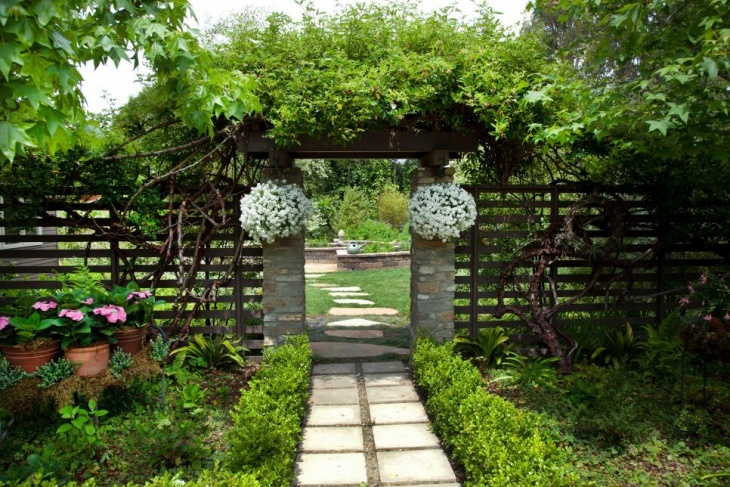 You can make your shrubs and vines grow and form the way you like by having a nice garden trellis. If you want additional aesthetic appeal in your brick wall garden, you should take a look at these great samples of garden trellis ideas. 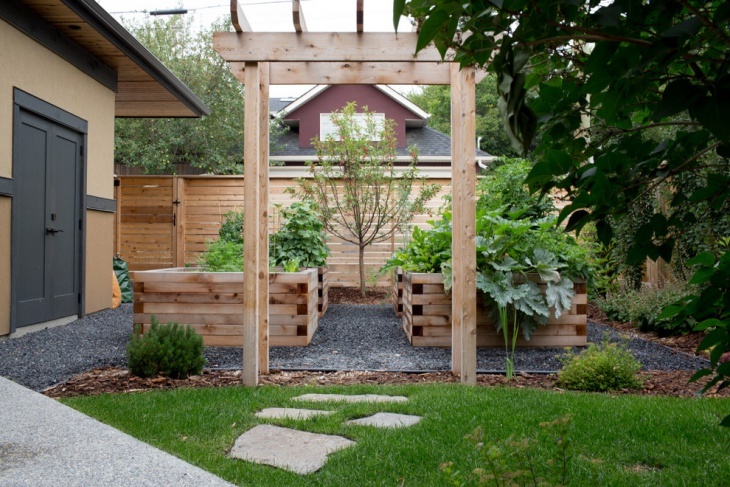 This trellis entrance is used to provide a nice entry design into the vegetable garden designed in raised wooden beds made of Cedar. 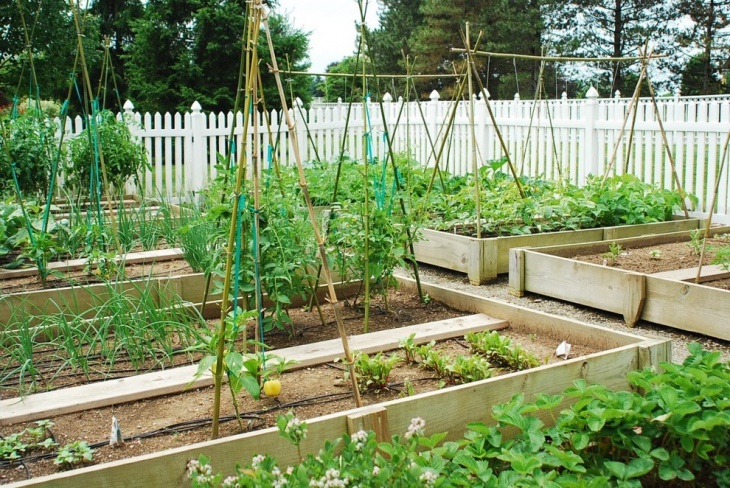 This simple garden has low vegetable beds with bamboo poles used as trellis for the plants to climb up during growth. 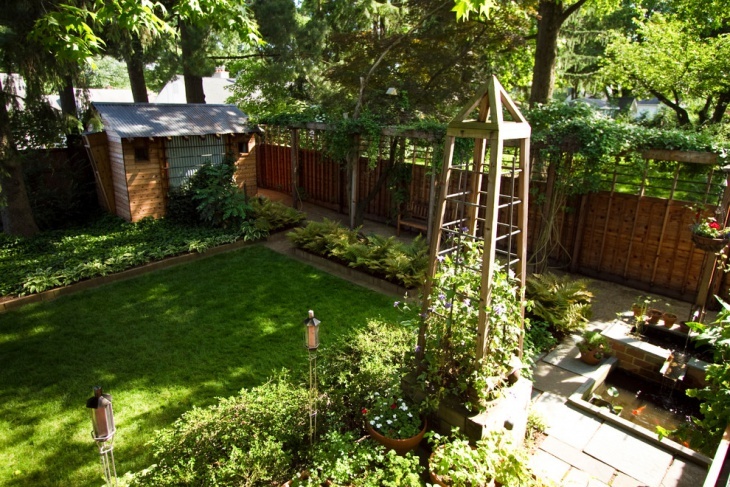 The garden is designed so simply and the white picket fence matched the minimalistic approach. 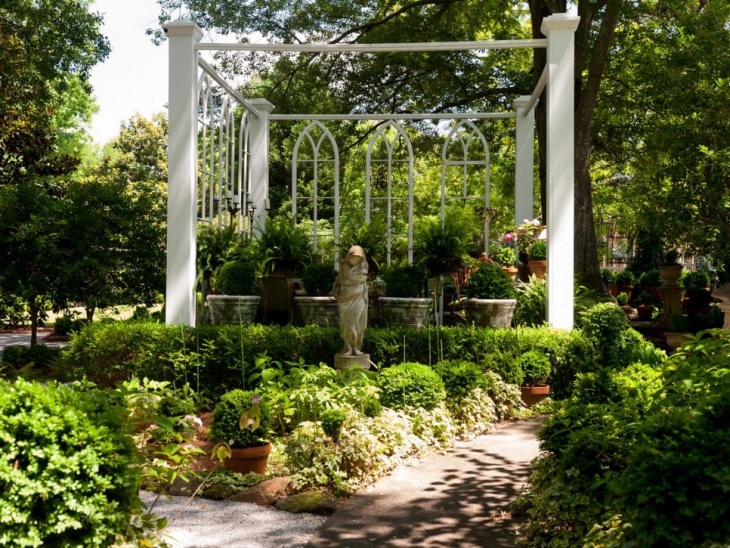 This garden has lattice garden trellis designed to act as support for the plants and additional decorative pieces for the setting. 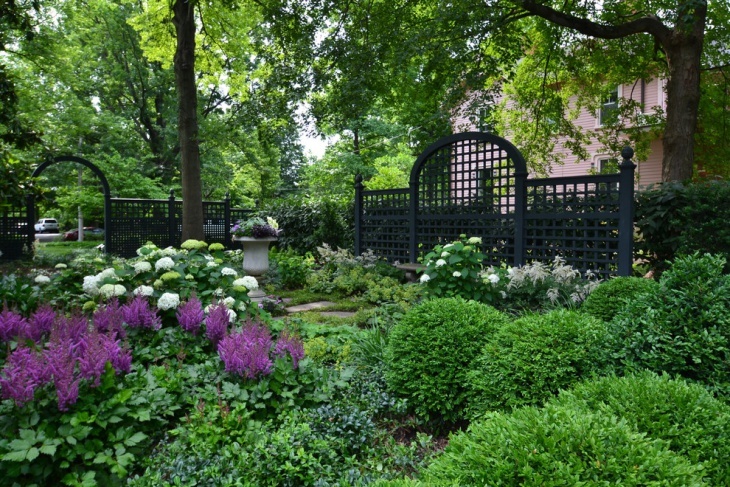 The dark color of the trellis provides a great contrast to the colors of the plants. 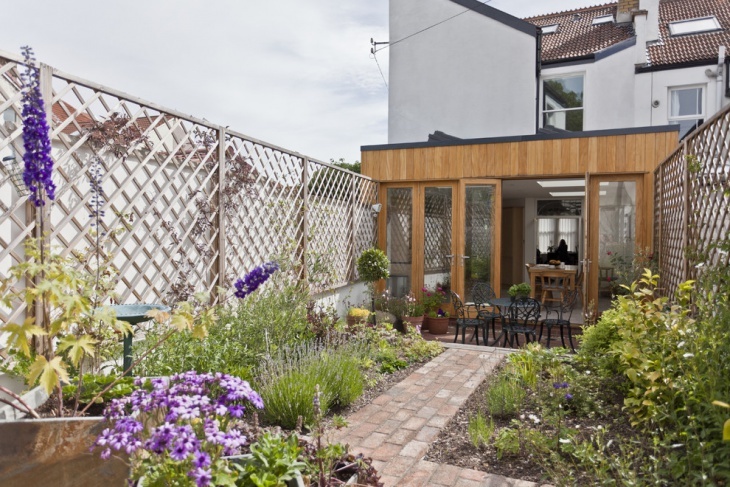 Having a pergola in the garden is like having a nice and relaxing contemporary garden shed where you can surely relax and enjoy your beautiful flowers and greens. The upholstered couch and chairs provide comfortable seating options. 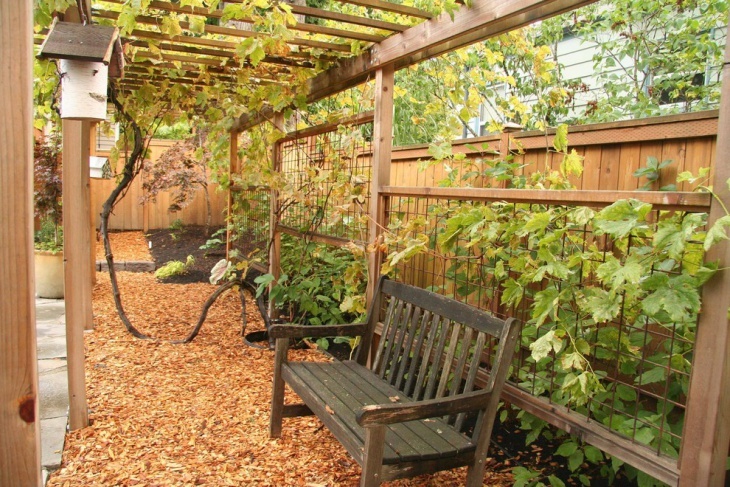 This wood and metal trellis design is ideal if you want to hide a not-so-pretty wall or fence. 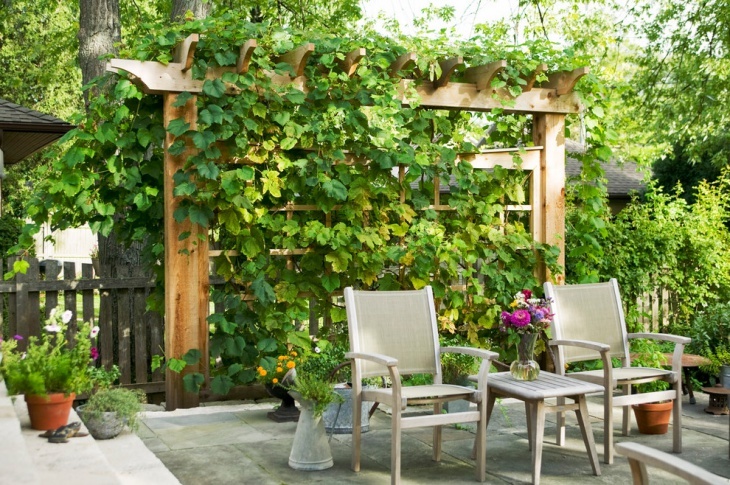 The trellis provides the best camouflage to just showcase the best of the garden like the rustic appeal of the bench and the random arrangement of the climbing plants. 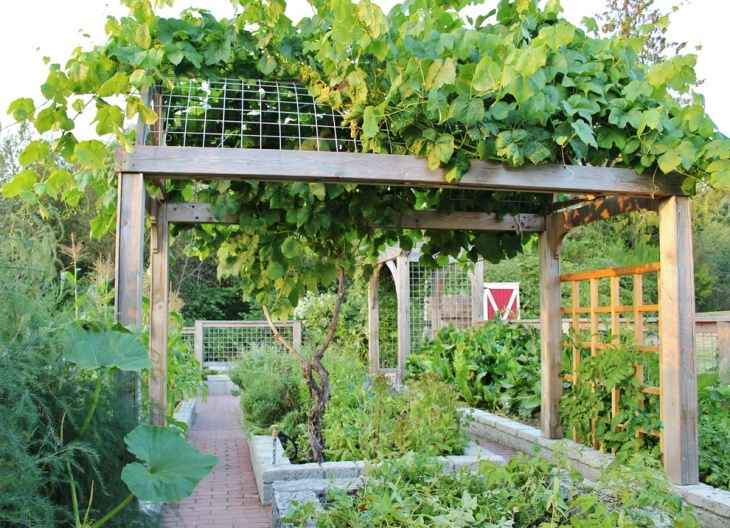 For a small garden, a trellis in different levels provide a perfect support for vines and shrubs. 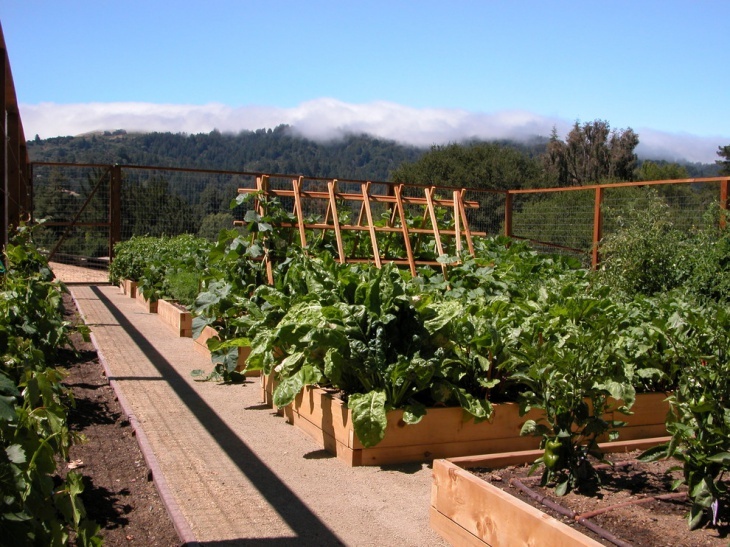 The plants can grow depending on which level of the trellis they can placed. 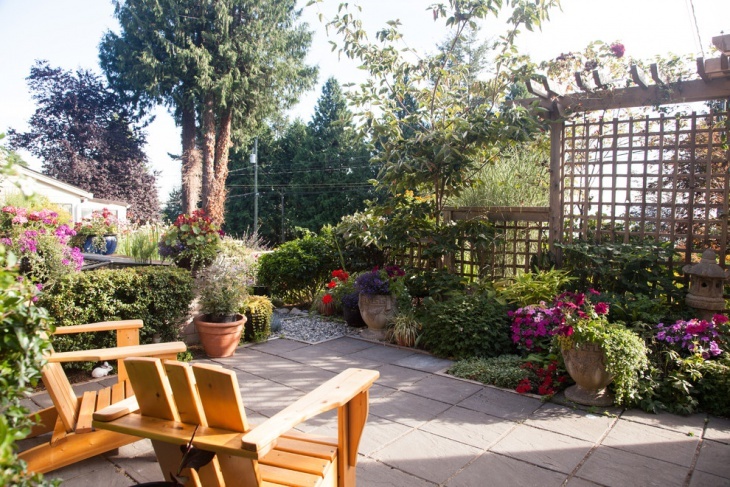 The wooden chairs add the relaxing appeal to this small garden setup. 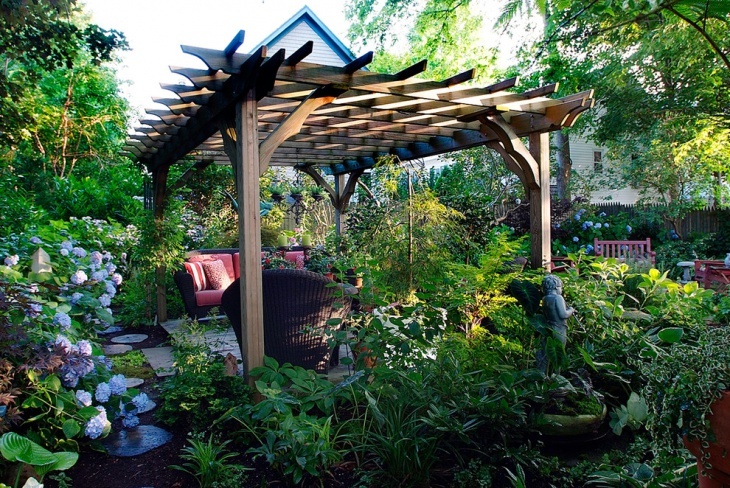 This rustic pergola is a beautiful addition to this neat and pretty garden landscaping design. The plants are arranged so perfectly that the whole set up just looks so magnificent despite the simplicity. The bird fountain and the trellis used for this wonderful lawn provide the best decorations in this perfectly landscaped garden. The flowers are just so beautiful and the greens match them very well. 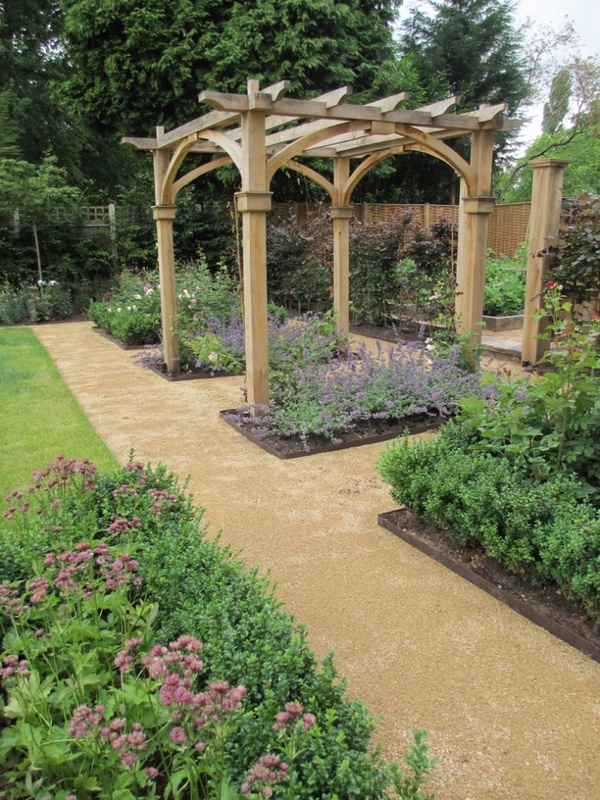 The trees also add some interesting features, making this a really magnificent garden design. There are several ways of decorating a garden while making sure that the plants are protected properly. Using garden trellis is one such way. 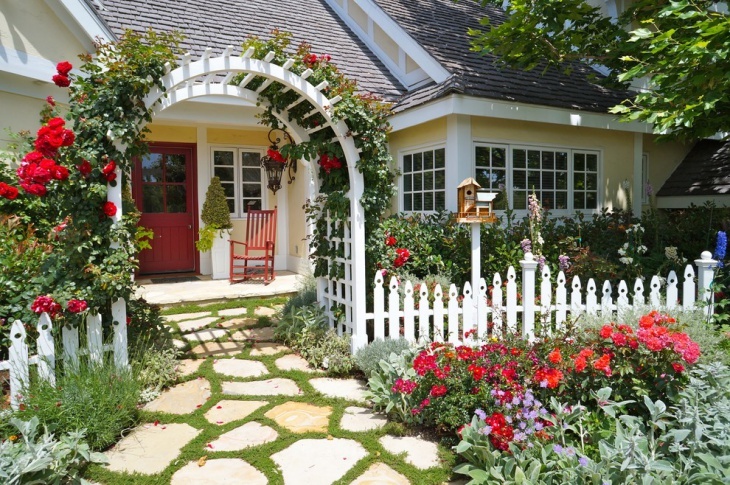 It would be a good idea if you can use a trellis that would really match your garden designs and plants. 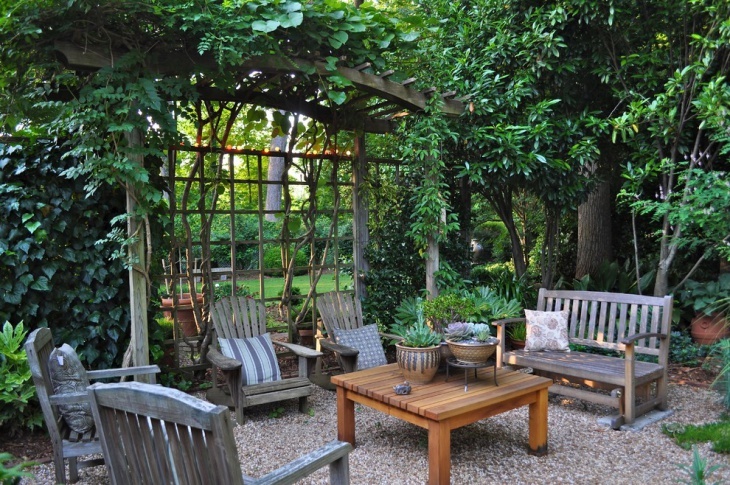 If you have climbing plants like vines or rose shrubs, then you really need to include a trellis. Your pebble garden will definitely look fascinating when you have beautiful plants and well-accommodating trellis to support them.